Ps. This is definately not just a rock, I am fairly familiar with this deposit and can judge a rock from a fossil. Could anybody I'd this please? Can you state where this was from? Also can you give us good measurements on this. 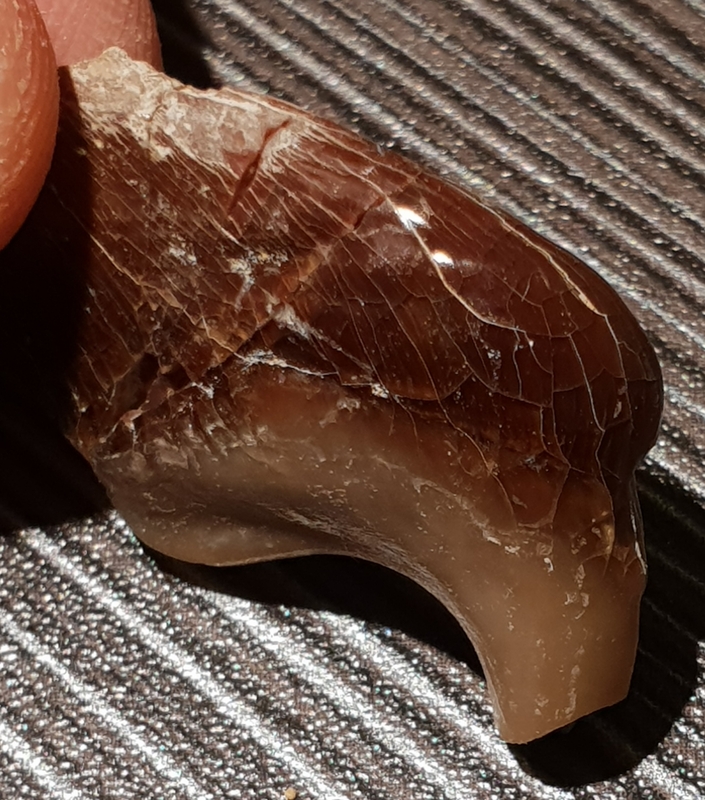 Definitely a pycnodont pharyngeal tooth but I wouldn't risk assigning a genus to it. At 4 cm (1.575 inches) that would be an extremely large pharyngeal tooth. I think it is a piece of something. It reminds me of a gill raker. But that would be a huge one. It looks like Hadrodus/Stephanodus to me. Well, you live and learn. I would never had expected a pharyngeal tooth to be this large. I was thinking Hadrodus/Stephanodus like Eric. However, I've never seen a Hadrodus/Stephanodus pharyngeal tooth at 4 cm (those two specimens in that TFF post aren't 4 cm). 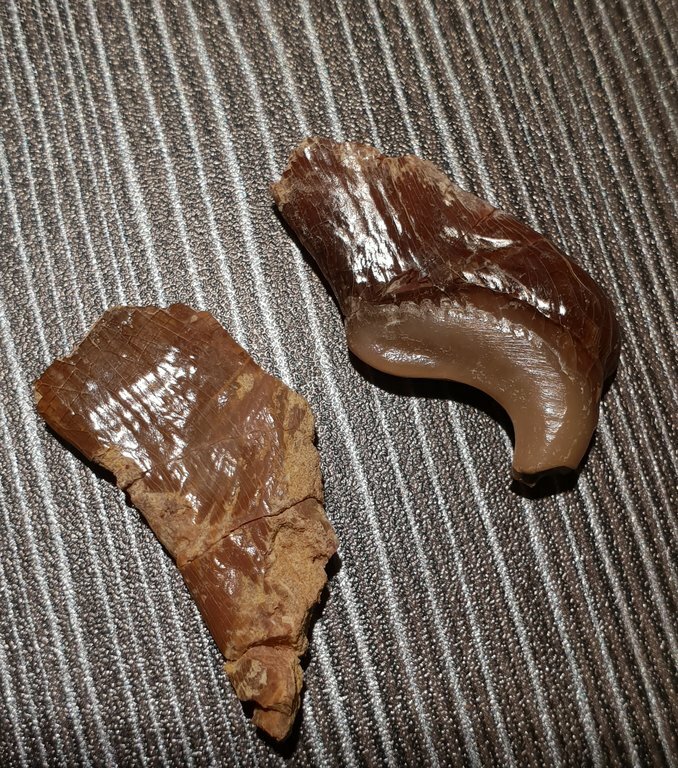 So a pycnodont pharyngeal tooth from a large species that we just don't see here in the US. Yeah, pycnodont seems to be what that is. Giants exist. I once saw a Paraorthacodus tooth that was about one-third larger than any other one I'd seen before. 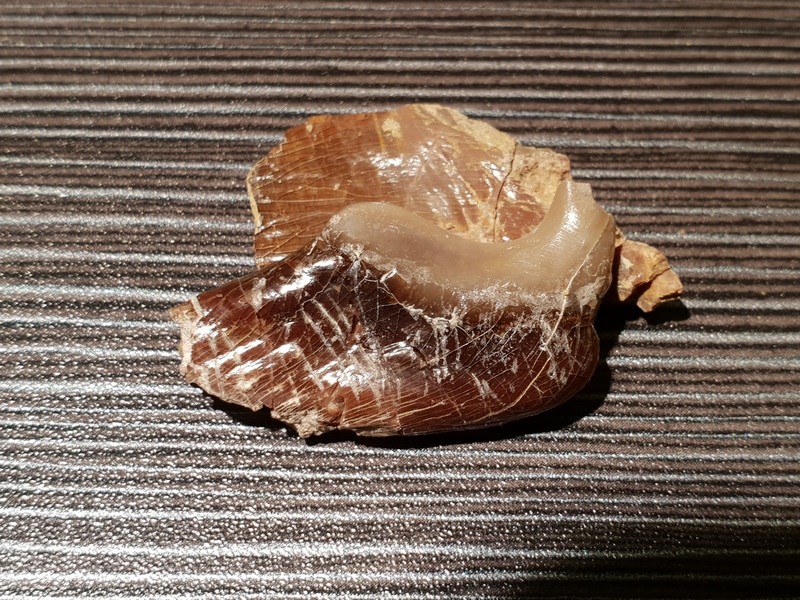 And what about Northern Shark's giant Carcharoides tooth? The other specimen might be a piece of another one though it seems flatter so that might be a piece of a sawfish rostral spine. First thing I thought of was Eotrigonodon (E. serratus occurs in the Lede Sand Formation, in the Eocene of Belgium). The exact shape doesn't fit with E. serratus but I could see it going with maybe another Eotrigonodon or another closely-related fish. Even though it's giant in size, I'm still sticking with fish pharyngeal tooth. The Eotrigonodon is not a pycnodont, it's from the Tetraodontiformes. Perhaps that's another place to look at for a genus/species answer for this specimen. Am liking that you've said "definitely not just a rock". We get a lot of "just a rock" IDs here on the forum but hope that no one would say that for such a distinctive fossil. Agree with Al Dente on the ID.